There has been much to talk about the resurgence of the Jawa brand in India. They have begun operations with two products and of them the Jawa (the bike, not the brand) is the more classically appealing motorcycle. With the base single-channel ABS version going for Rs 1.64 lakh, ex-showroom Delhi, here’s what else that you could fetch for that same amount of money. The Royal Enfield Bullet 350 has earned itself the tag of the oldest motorcycle in continuous production and the Classic 350 is a derivative of the very same motorcycle. It is the bike to consider when you are thinking about the Jawa as the two aim for the same nostalgic beats from your heart. The cool bit about the Classic 350 is that it provides a typical British charm with quite a few colour variants. 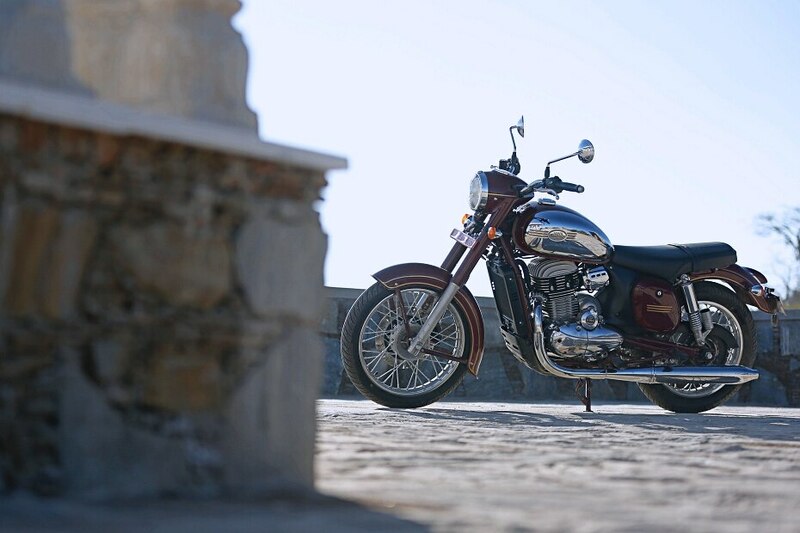 The 346cc large single has oodles of torque making for a very soulful ride. The Classic 350 gets double channel ABS on almost all the variants on sale. The non-ABS version retails for Rs 1.55 lakh while the Redditch version with ABS could be fetched for Rs 1.68 lakh. If the classical beat is not your cuppa of tea, and you want something extremely performance oriented, the KTM 200 Duke should fit the bill aptly. Raw, manic and extremely youthful, the 200 Duke brought in a new wave of motorcycling enthusiasts who wanted a bit more spice from their two wheels. The 199cc single mill makes 25PS of power and 19.2Nm of torque which is enough to whet your appetite. Plus, the mad KTM Ready To Race DNA is now supplemented with a single-channel ABS to help stopping matters. That has pushed the pricing of the 200 Duke to Rs 1.60 lakh, ex-showroom Delhi. This might not be an option if you have already made up your mind that you want something retro. However, the sporty credentials that it boasts of are unparalleled and so will be your hooning skills, thereafter. Although Bajaj Auto is working on an update, the Dominar 400 is one good all rounder. Be it in the city, in the twisties or out on the highway, the Dominar proves to be a worthy partner for all causes and the bright LED headlight is an added bonus. It uses the perimeter frame with the KTM-derived 373cc mill nestled in it. It is known to bear a few rough patches here and there but on the whole the motorcycle is quite likeable. Currently it retails for Rs 1.63 lakh, ex-showroom Delhi, with the upcoming model could bear with a Rs 15,000 hike. A naked 250cc sporty commuter? It was something that we had not pegged to come from Yamaha. However, the Japanese manufacturer had a trick up its sleeve with the FZ25 as it is one of the hottest selling products in the 250cc segment. With a chunky muscular tank, the FZ looks particularly solid. It matches it in the grunt department as that 249cc single-cylinder air-with-oil cooler with brilliant rideability for most situations. It does misses out on a sixth cog and ABS but Yamaha will be offering the safety aid on the motorcycle soon enough. With the pricing currently hovering around the Rs 1.2 lakh, expect it to rise up to Rs 1.4 lakh if Yamaha decide to spec it out with a dual-channel ABS unit. And that that price, it is twenty grand saved over the Jawa. If there is one go-anywhere-on-a-budget motorcycle in India it has to be the Royal Enfield Himalayan. The mini adventure bike has a great commanding riding posture with phenomenal off road prowess. The design may look industrial, it is built to survive. The 410LS motor has enough juice to help you get out of any form of trouble as you can sit comfortably at 100kmph on the highway. It also comes with dual channel ABS as stock. It could be yours for Rs 1.78 lakh, ex-showroom Delhi. This might be the most expensive motorcycle in the list, but the Honda CBR250R is also perhaps the most touring friendly of them all. The 249.6cc motor makes 26.5PS and 22.9Nm of torque which is delivered in a sinfully smooth manner. It has an unbelievably large powerband with phenomenal drive in each and every gear. Even though this motorcycle is fairly unchanged since its introduction in 2011, the CBR250R is one beautiful motorcycle. The most absurd thing about it though is that the ABS version retails at Rs 1.94 lakh, thirty grand more than the non-ABS version.